The basic Sonnet is composed of 14 lines usually written in iambic pentameter, and frequently upon the theme of love or romance. But that is not always the case. What is best about a Sonnet is, that it is a structured type of poem, but that structure can be stretched in many different ways. It can be, and has been, argued that changing one or more of the elements does not change the essence of a Sonnet. If you can retain some or most of the elements, it is still a Sonnet. That is the premise of this book. 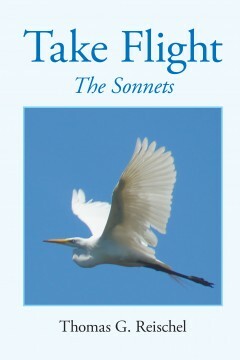 Within it, the author presents 73 different configurations/formats of the Sonnet Form, and he has personally written 170 examples. Each poem is a blended composition of verse, background, colors, and image. 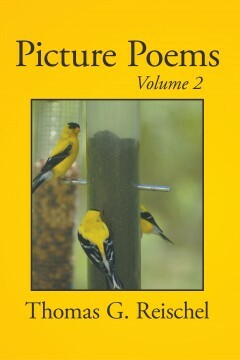 All the poems and all the photographs in this book are the author’s work. The author was born on 9/11/1948 and raised in Minnesota. He resides with his wife of 38 years in its Capital of St. Paul, Minnesota. So, the pictures and tone carry a Midwestern sensibility and leaning. He has been writing poetry since he was a freshman in high school, when he had to write one as a class assignment. He has been a top ranked poet on the FanStory site since 2011. In 2015, he judged the poetry for the VOICE of KANSAS, poetry contest. He worked over 40 years as a purchasing manager for a large defense contractor, but is now retired. He also lived in Colorado Springs from 1985 until 1991, and in St. James, LI, New York from 1991 until 1996. Synergy of Image and Verse. A photograph is worth a thousand words. Poetry paints word pictures using poetic imagery. On their own, they each are exquisite. Combined they become something else – a powerful composition that blends the best of both. That is what happens in this book. The author is inspired by the image, and from it, poetry flows to dance and enhance the whole upon the page. Images from the eye of a photographer that translate to the mind of the poet. The wonder here is that both are the same. The photographer is the poet. 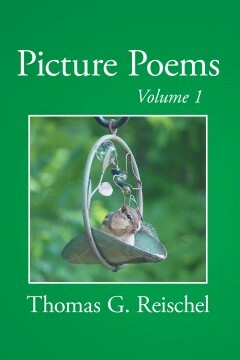 Here is an excerpt from poem #1, Chipmunk, that goes with the picture on the cover. A fuzzy face soon raids the stash. This little guy’s manners, so brash. Here is an excerpt from poem #1, Chipmunk, which goes with the picture on the cover. Thirty five poetic formats, full page eye-catching photography, poetic techniques are all here for poetry lovers, photo enthusiasts, students, teachers. 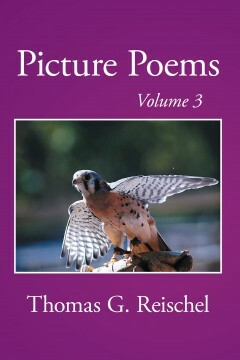 Here is an excerpt from poem #14, Bird in Hand, in a Tanka 5-7-5-7-7 format, which goes with the picture on the cover. So follow all safety rules. They don’t suffer any fools.